I am very hopeful for our blue planet. Truly. How could that be, you ask, with all of the bad news coming out every day about the state of our world’s oceans? 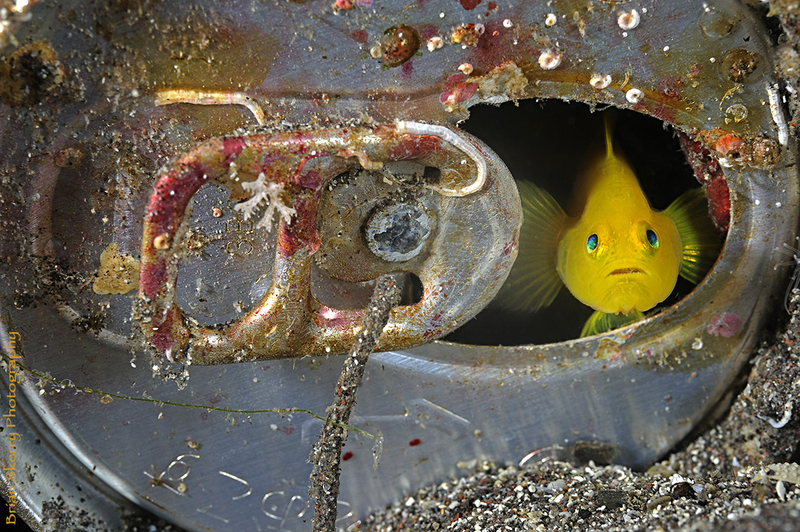 Photography © Brian Skerry. All rights reserved. I am hopeful because of young people. Time and again over the past twenty years of my work I have seen teens showing up to do the heavy lifting of making our great blue planet healthy again. They are the light at the end of the tunnel; the fierce defenders of what they will inherit. They see their own actions as connected to the globe as a whole. They have taught me that the path to fulfilling our deep longing to belong on this earth begins with simply showing up to care for it. Young people understand intuitively that their actions in the here and now are connected to their futures. They reach out for the community that is our common unity; and have the insight to know that rivers and streams and water can connect, rather than divide us. It’s a dynamic I can assure you is there when young people gather to face both the beauty and the destruction of the ocean. 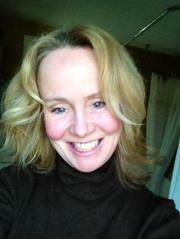 Holding those two extremes bravely in our hearts somehow appears to release a need to act. Teens have taught me that the path to fulfilling our deep longing to belong on this earth begins with simply showing up to care for it. We are in the maw of that opportunity to act right now, where problems in the ocean from acidification to plastic pollution to global warming, overfishing and habitat destruction are stacking up and demand our immediate attention. As Ocean Matters director Brian Skerry, who has explored the ocean for over three decades as an underwater photographer for National Geographic points out, “The ocean is not too big to fail.” And so we must simply show up. 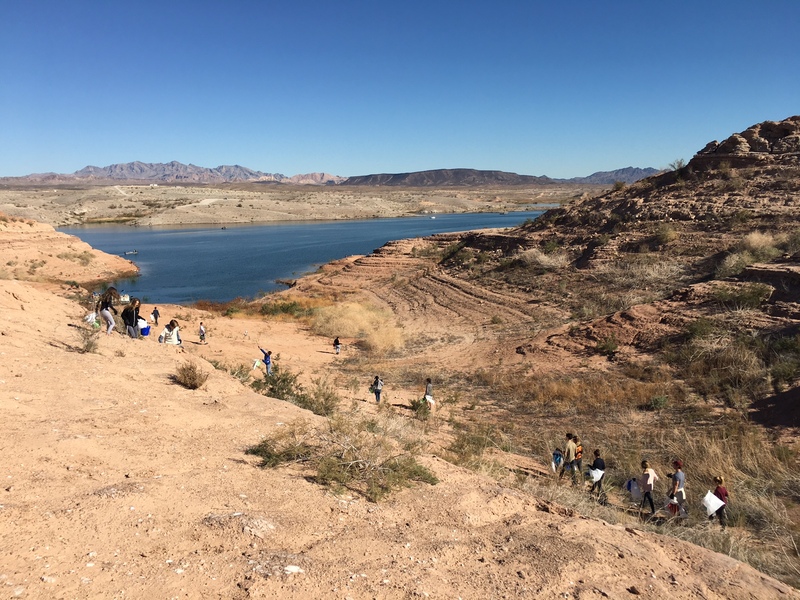 This past week, students from Bishop Gorman High School in Las Vegas, NV rolled up their sleeves and removed 350 lbs. of recycling and 150 lbs. 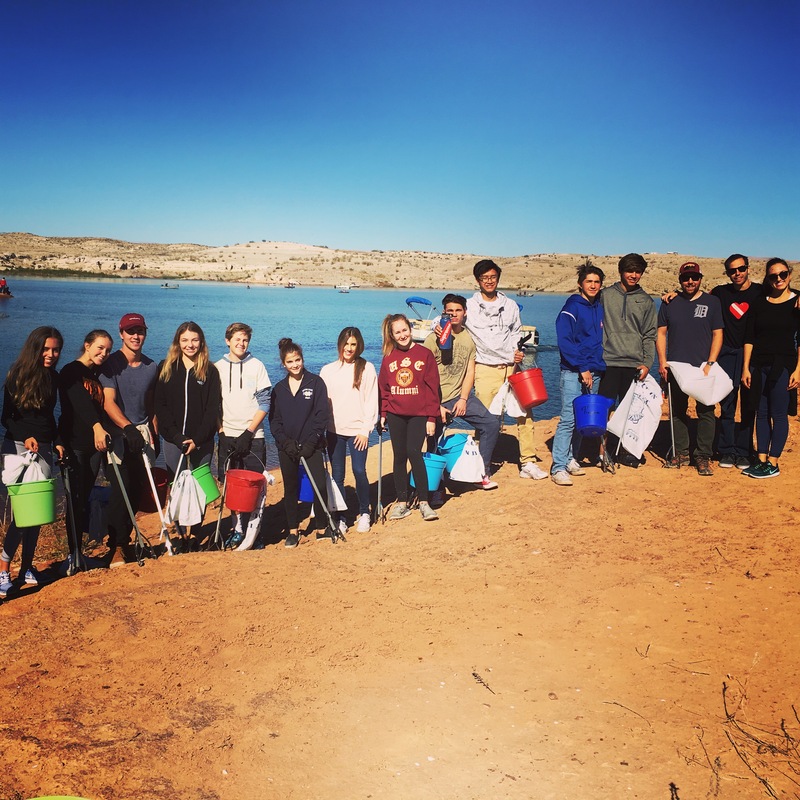 of trash from Lake Mead’s watershed at our Ocean Matters Land Pirates beach cleanup, because the ocean is downstream from all waters: even those that land-locked. 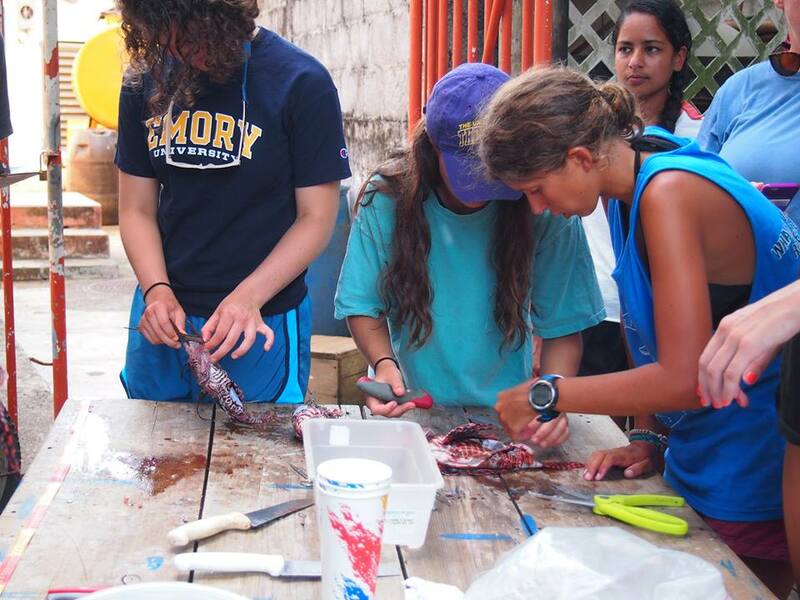 This spring students from St. Stephens Episcopal School in Bradenton, FL travelled with Ocean Matters to Utila, Honduras to dissect and study the invasive lionfish from the Pacific that are decimating Caribbean coral reefs. The growing body of research will help scientists more properly manage the reefs. 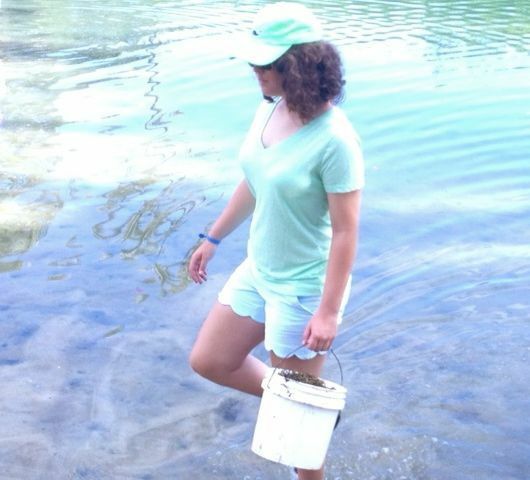 Over the years, Ocean Matters young people have contributed to the understanding of seahorse populations in Hawaii. And they’ve helped a popular dive destination in Grand Cayman in the Caribbean compare the impact of diving on the coral reef on two sites with differing dive pressures over the course of many years, documenting the declines associated with higher numbers of tourists on a reef. At COP22 last week, young people led and pointed out that the problems facing the ocean do not require only one leader; we need many leaders. Everyone can be a leader. From what I’ve experienced that is true; and young people are ready to lead. The clarion call for our oceans right now is to show up, even in face of the risk of loss of that you have grown to fiercely love. Showing up can be messy and challenging. But doing the hard work often reveals hidden strengths and reserves we did not know we possess and catalyzes the passion we all need moving forward. Our wild places save us. A rescue, a hope, and a charge to support young people to lead. That’s how we will successfully address the environmental challenges facing us. ← With Gratitude to Our Donors on #NationalPhilanthropyDay: Why YOU Matter!